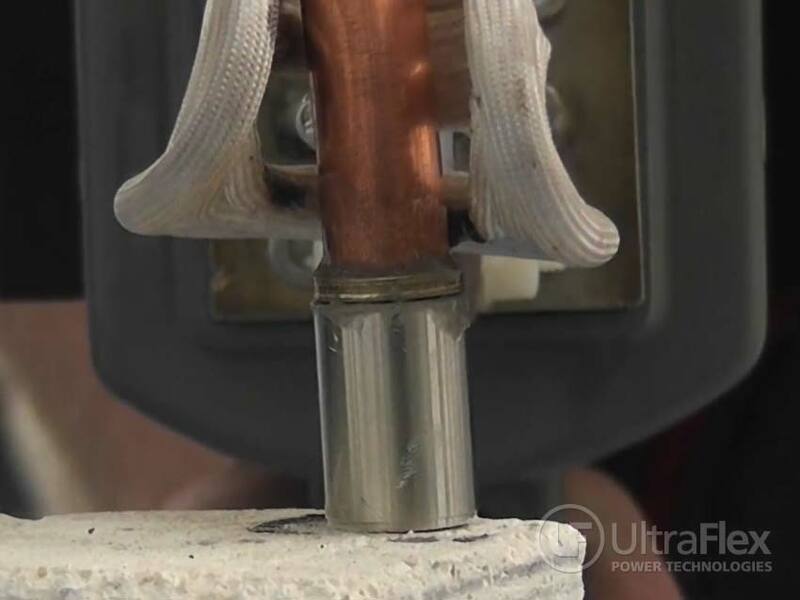 Braze stainless steel tubes to copper tubes. Objective is to evaluate induction brazing solution. Customer is looking to reduce defects and for a cleaner brazing environment. 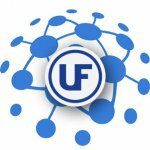 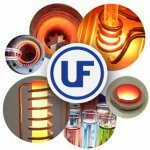 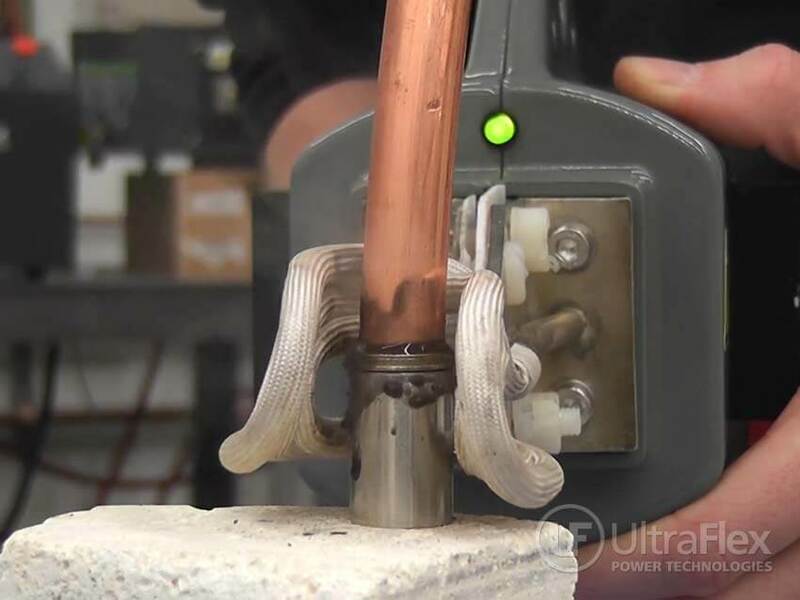 Due to different pipe size and lower volume – evaluation is performed with a UBraze system. 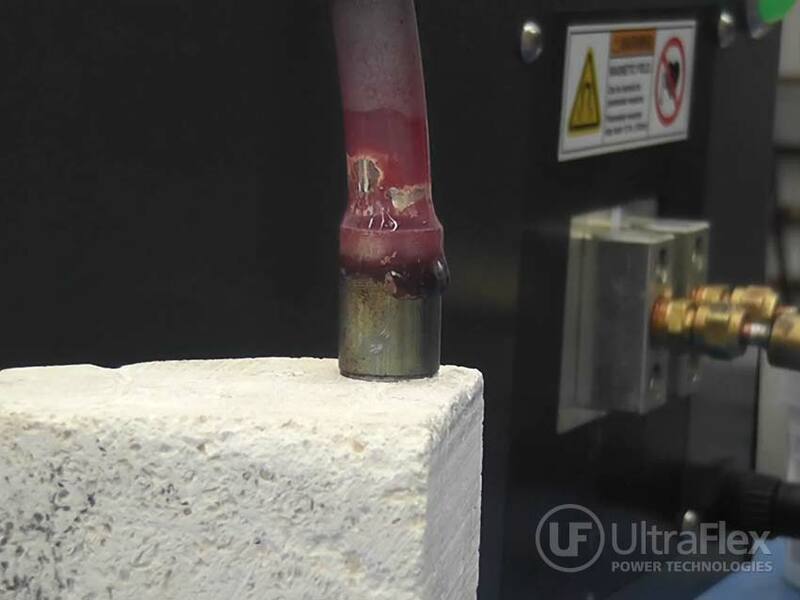 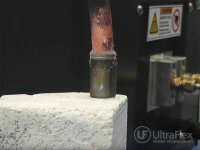 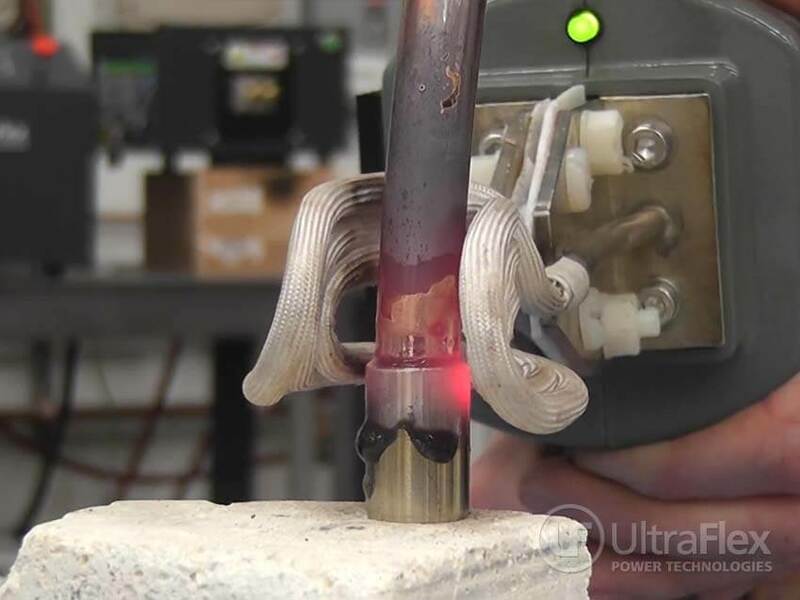 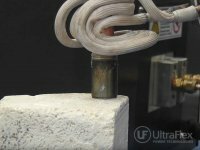 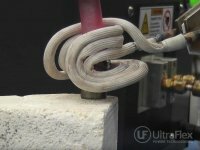 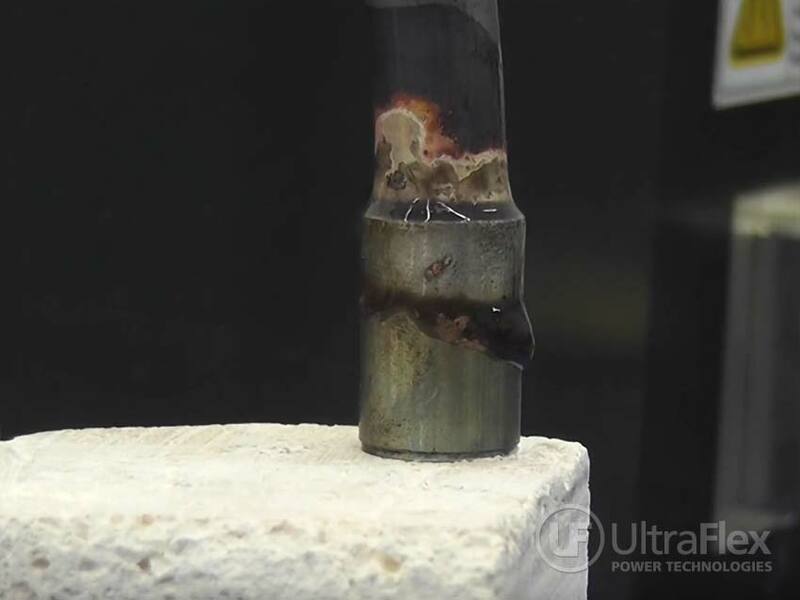 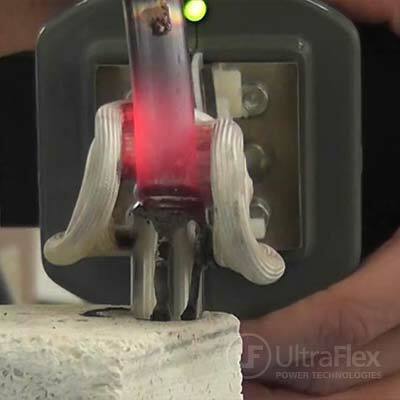 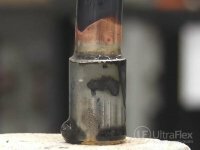 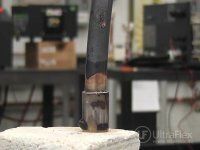 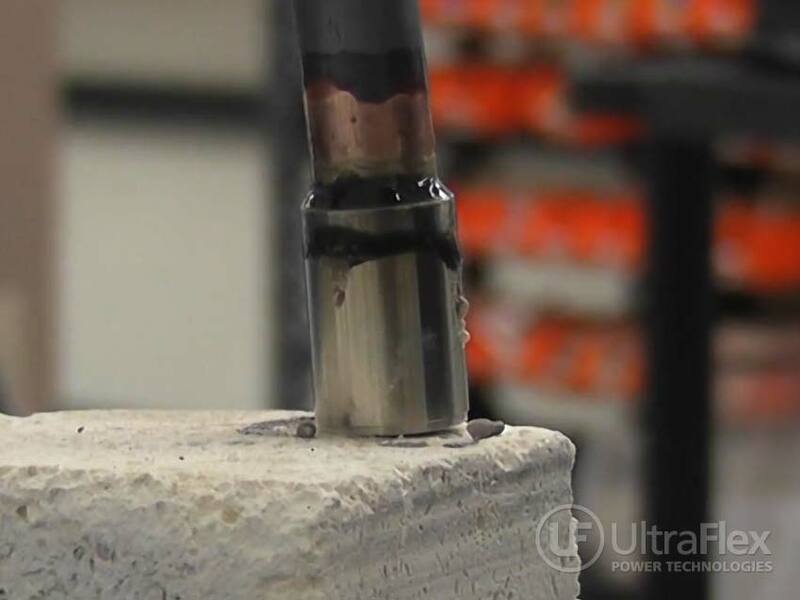 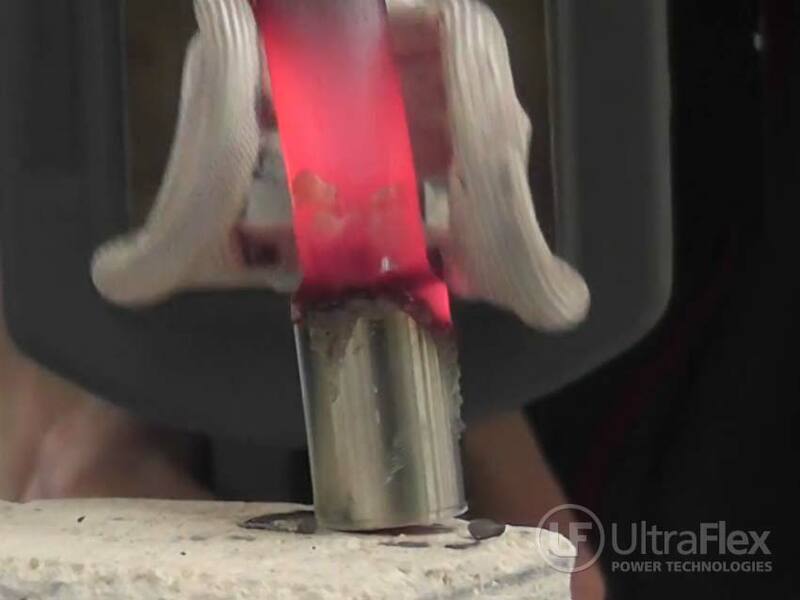 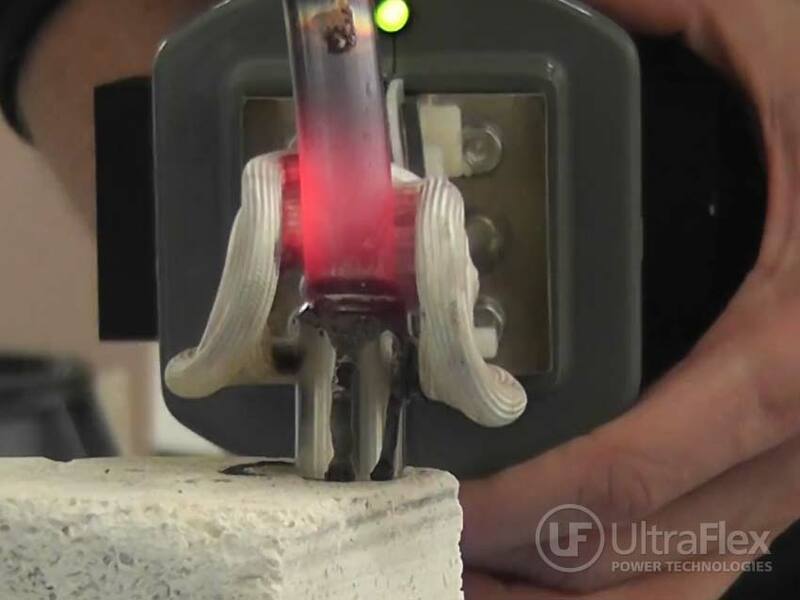 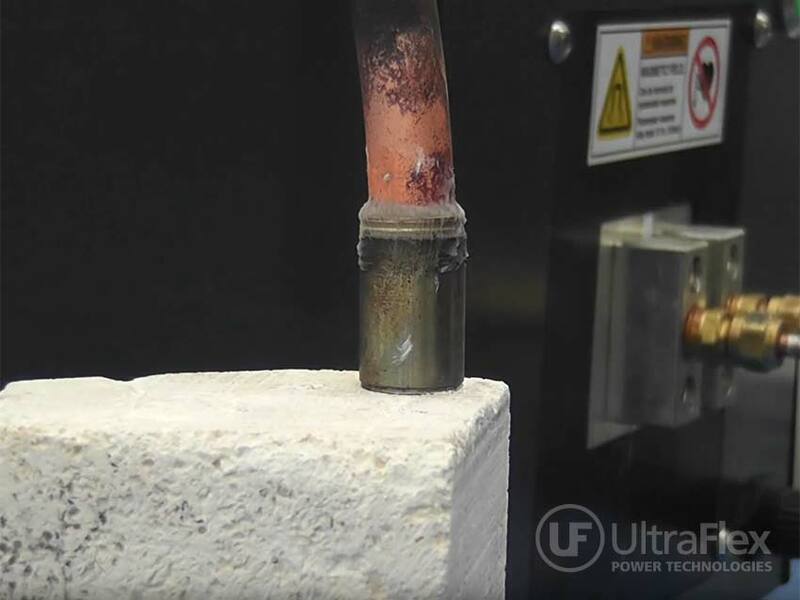 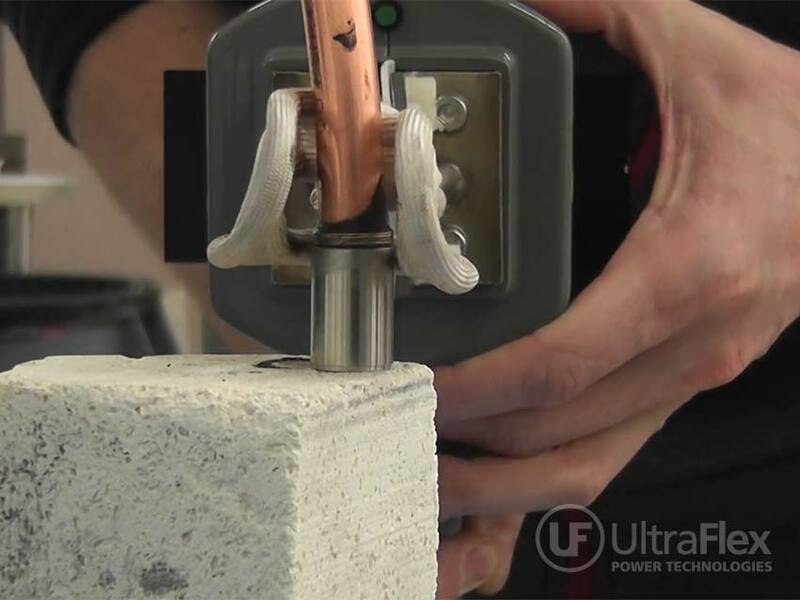 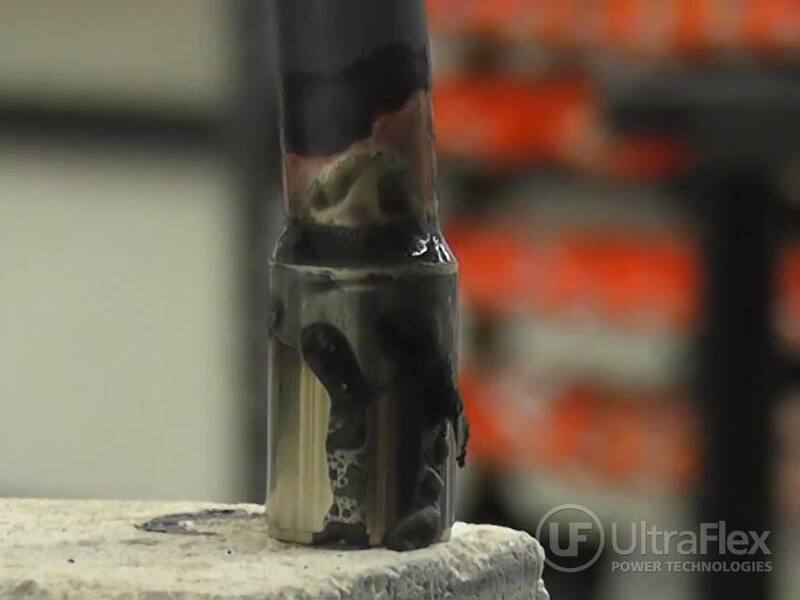 Induction brazing test with UBraze was able to braze the parts in 9 to 11 seconds for the full braze cycle. 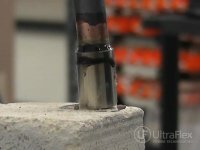 Operator training with this setup will be minimal.